The present essay analyses the role of randomness from a scientific but also philosophical and logical perspective. The author will start by giving a short introduction to science and natural philosophy in order to describe its premises. Which are the sorts of issues that scientists try to answer? Why is it sometimes necessary to question the obviousness? The weather provides an excellent example to explain the theory of chaos and its implications for dynamical systems. Usually, randomness is ignored or considered trivial. However, the author will try to show why its significance is so high that it should be included in our scientific theories. He also intend to reveal the old perception of randomness and suggest new ways to understand the description of reality by natural laws. In the mathematical reflections, the author will argue that beauty does not rely on the numerical precision but on the uncertainty, fuzziness and liberty of randomness. 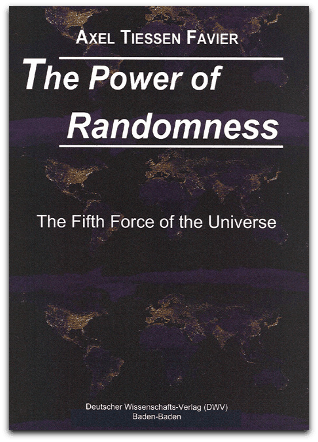 He will also explain why randomness is the basis of freedom and the ultimate source of diversity in the natural world. Not only cosmological and biological evolution is both driven by randomness, but also our daily life is governed by it. The final sections include some logical, philosophical and ethical remarks in the context of this theory.